Melrose Avenue, Los Angeles. June, 2015. Photo: Selfie with tripod and timer. What was for lunch? The wonderful ramen restaurant Tatsu has a new location on Melrose at La Brea. 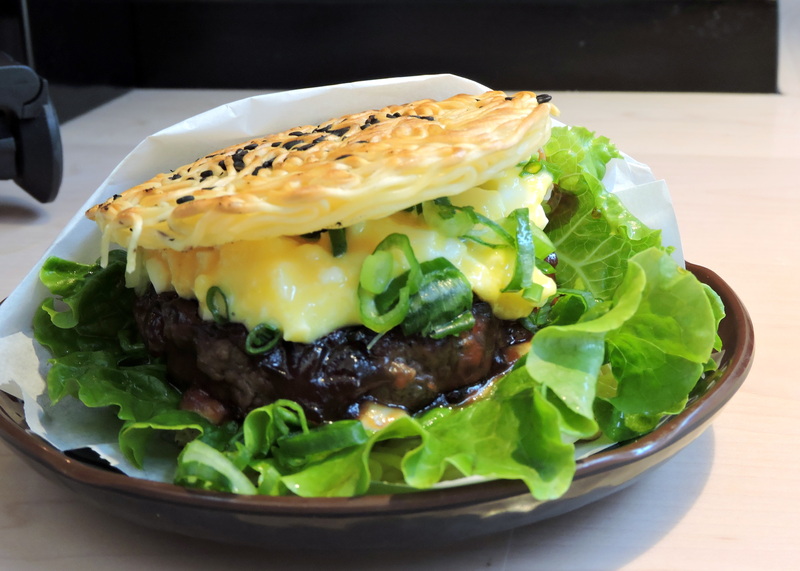 I couldn’t resist the Wagyu Ramen Burger… Perfectly cooked beef, covered in demi-glace and a mayonnaise/egg sauce, served on ramen noodles shaped like a burger bun. Couldn’t have been more delicious. 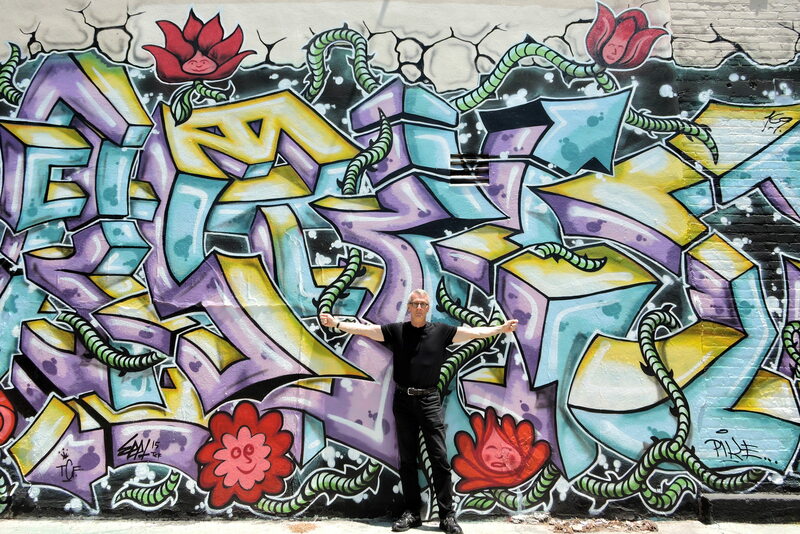 This entry was posted in 2015, Los Angeles and tagged Bruce Critchley, Melrose Avenue, Murals, public art, Ramen, Ramen Burger, street art, Tatsu Los Angeles by brucecritchley. Bookmark the permalink.